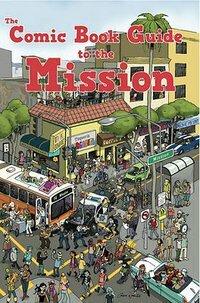 “The Comic Book Guide to the Mission” is finally being released upon the world. Myself and many amazing artists participated in the creation of this incredible book. You can find information on the release party here. You can also check out my entry pages here. Come party with everyone involved in the project on March 11th! This entry was posted in Comics, Conversations and tagged Comics, hipsters, mission. Bookmark the permalink. One Response to THE book is being released! So excited to go to the release party!